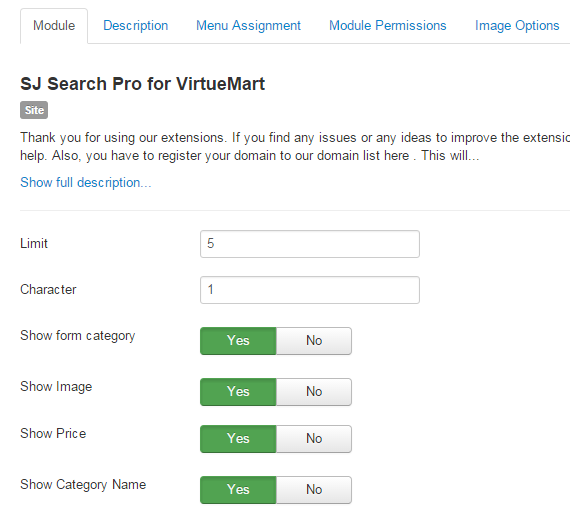 This guide will help you install SJ Search Pro for VM step by step. 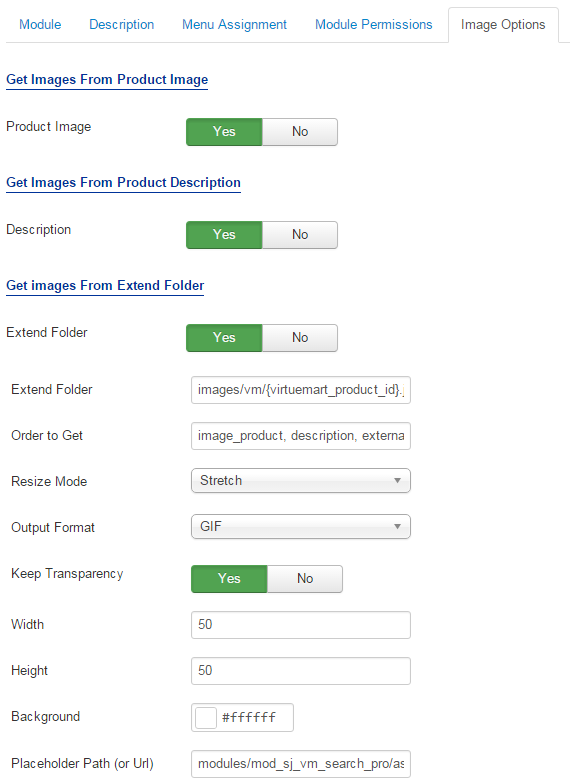 Compatible with version Joomla:Joomla! 3.x and Responsive layout. After installing, go to Extensions -> Module Manager and find SJ Search Pro for VM to configure. Limit – Maximum number of products to display. Enter “0″ for unlimited. 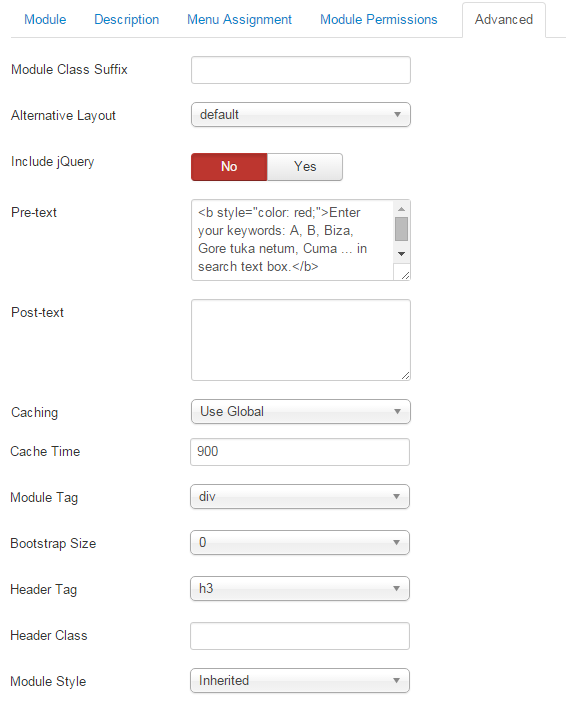 Character – Allow to enter the minimum number of characters. Show form category – Allow to show form category or not. Show Image – Allow to show image or not. Show Price – Allow to show price or not. Show Category Name – Allow to show name of category or not.